If you are having trouble starting your car, more than likely, you need to jump start your battery. Should you experience this predicament, them consult this useful guide on how to jumpstart your car. And, in the event that your battery needs replacing, turn to Dakota Chrysler Center near Breckenridge to assist with all your mechanical and service needs. Make sure the car with the good battery is parked facing the other vehicle, then have that vehicle turn its engine off. Engage each vehicle’s parking brakes. Open hoods of both vehicles and find the batteries. Note: you may need to remove a plastic hood to find the battery terminals. Check which terminals are positive and negative, and be sure they’re free of any corrosion and clean. Connect the red clamp of the jumper cables to the positive post on the dead car battery. Next, attach the other red clamp to the positive terminal of the battery on the other vehicle. Attach the black clamp to the negative post on the good battery. Then connect the other black clamp to an unpainted metal surface on the car’s frame. Once everything is securely in place, start the engine of the vehicle with the good battery first, then start the engine of the vehicle with the dead battery. My Car Won’t Jumpstart, Now What? After you’ve gone through the procedure of jump starting your vehicle, and your car won’t turn on, this is an indication that you may need a battery replacement or an additional issue. Should this happen, here is what you can do. After jump starting your car, keep it running for a few minutes afterward. This allows the battery to fully recharge. Should you hear a clicking sound after you try to start the car, it may be an issue with the starter. In the event that the engine won’t start, but the electrical systems do turn on, this can be caused by a number of issues, like a failure of the battery itself, the starter, the ignition switch, or a fuse. If you experience any of these symptoms, it is time to schedule an appointment with a service center near Fargo for a full inspection and diagnosis. 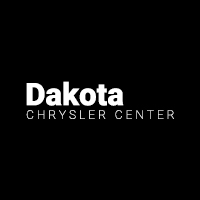 If you need a battery replacement, oil change, tire rotation, brakes, and anything in between, the expert service technicians at Dakota Chrysler Center are here to help! Get in touch today for any of your service needs, and check our revolving list of service specials before coming in. While you’re here, check out our guide on unlocking your steering wheel, our guide to how to read your tire pressure monitor, and other auto service blogs.